The RX054E is a big and strong ring magnet. It can be tied to a rope and used to drag lakes and streams for metal objects. They can also be bolted to the wall or ceiling to hold tools or other objects. 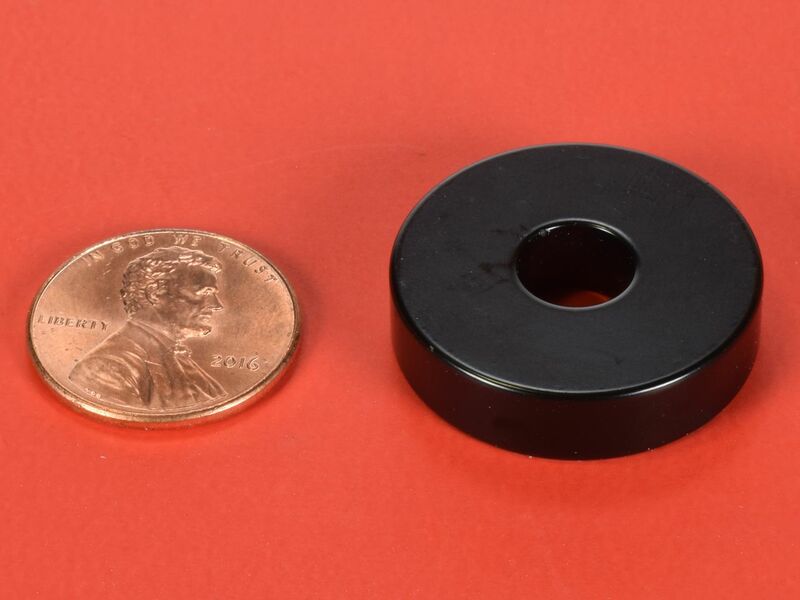 The epoxy coating makes the magnet much more rust resistant than standard nickel-plating. 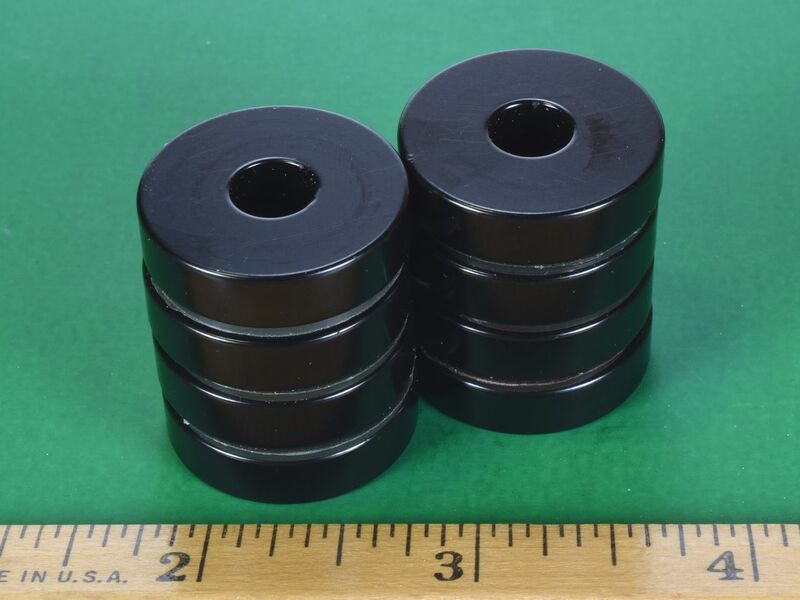 This size is also available in grade N52 as part number RX054-N52 and in grade N42 with our standard Nickel plating as part number RX054.